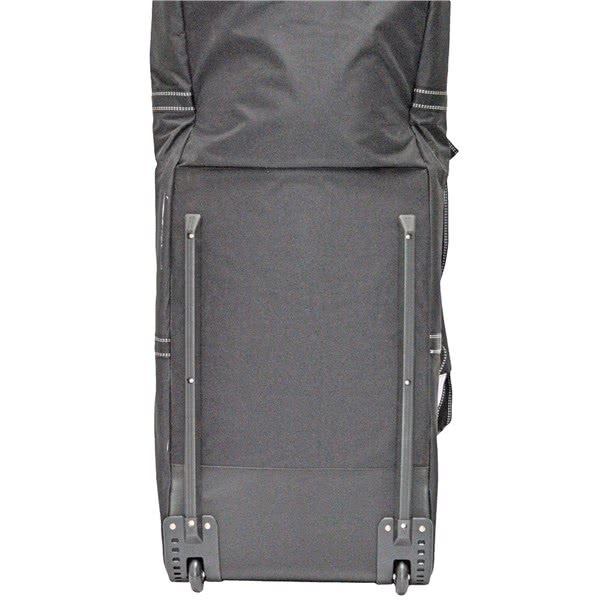 The big Max Double Decker Hybrid travel cover will make travelling incredibly easy whilst making excess baggage charges a thing of the past. 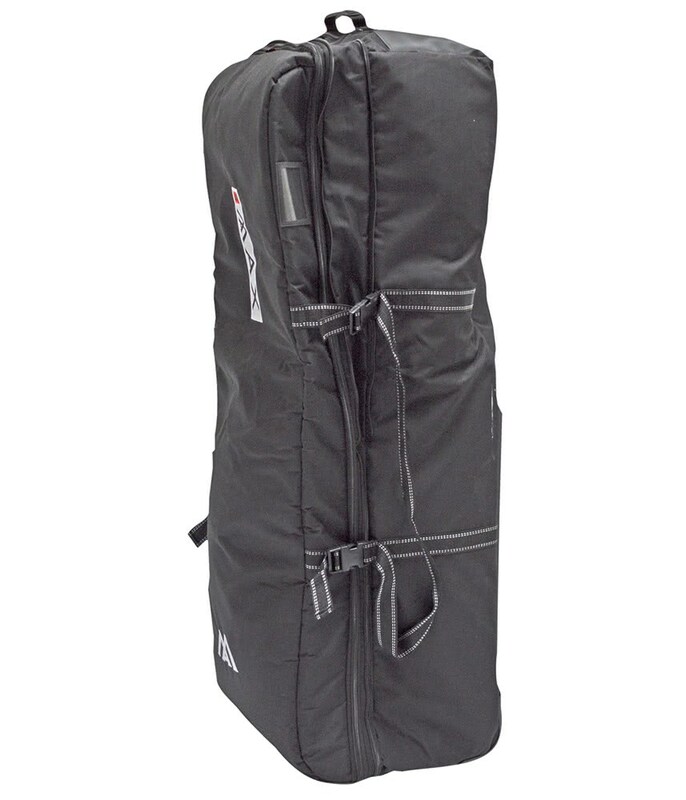 Big Max have created a travel bag that features an innovative design that will accommodate an 11” tour bag or two 6.5” stand bags. 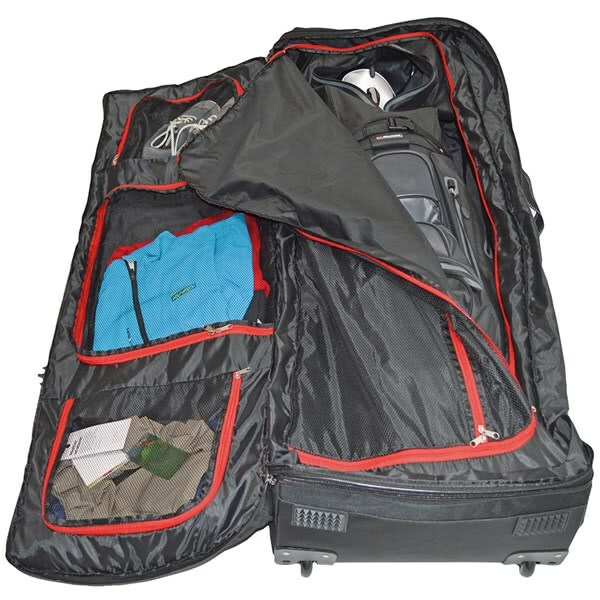 With the one big bag or the two smaller bags you will still have plenty of room to store clothes, shoes and toiletries. 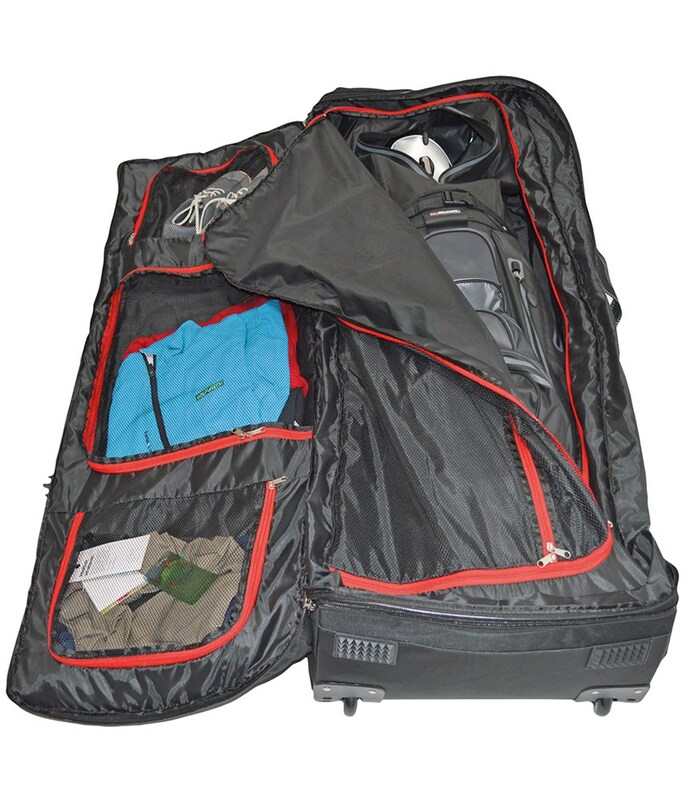 Internally there are separate compartments for the shoes and toiletries, these compartments are zippered and sizeable enough if you are heading away for a long golf weekend. 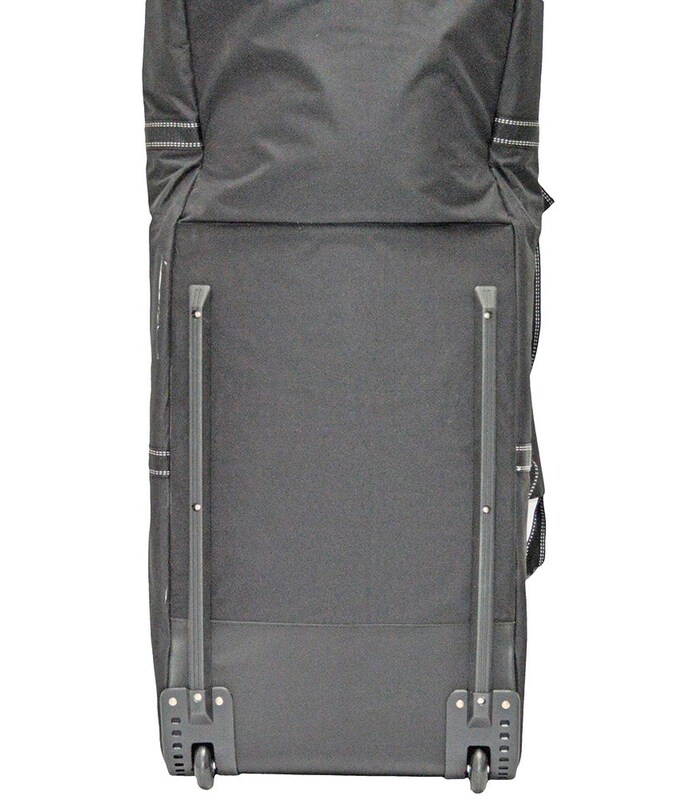 To make transporting exceptionally easy and comfortable Big Max have used an inline skate wheel design that glides across all surfaces. 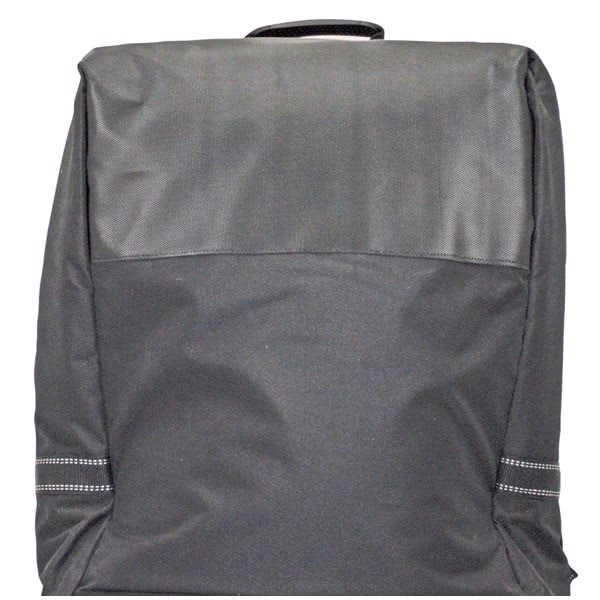 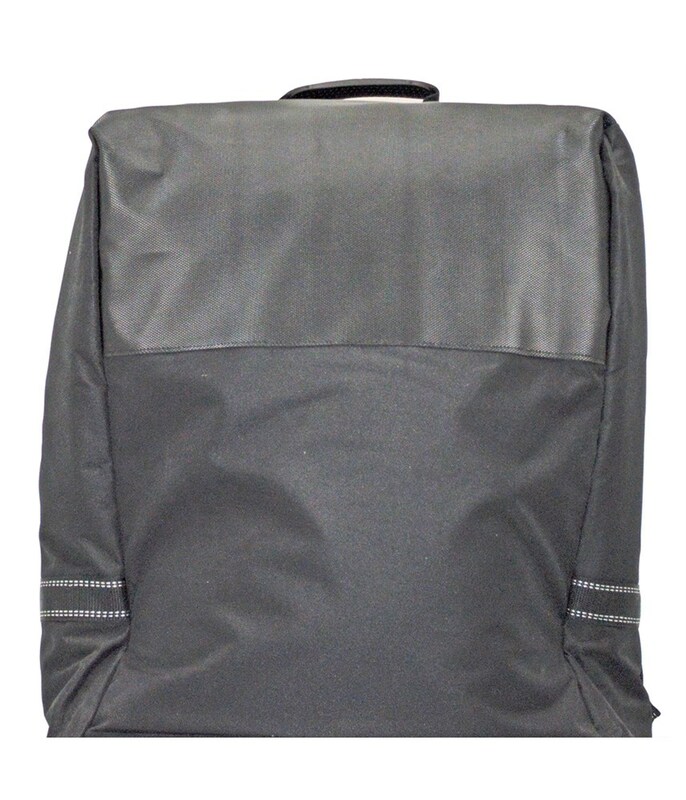 Reinforced material around the stress areas add durability to the travel bag and two external compression straps will ensure little or no movement from inside the bag during transportation.